Quite naturally we often hand out plaudits to one of our famous goal scorers, especially in the FA Cup, and we will include many of these in the ‘Hereford Hero’ section of Talking Bull. But what about those who played a major part in the creation of vital goals? Recently I was reminded about the impact Jon Narbett made during his career at Edgar Street. Back in the late 80s and early 90s he was one of the Bulls most creative players and, in addition to carving out many scoring opportunities for the likes of Phil Stant, Paul McLoughlin, Stewart Phillips and Simon Brain, was the Bulls top scorer in the 1990/91 campaign. In my opinion he was certainly a regular match-winner and added substantially to our scoring threat, with a catalogue of penalties awarded in our favour after Jon’s trickery inside the area often ended with a badly-timed tackle from a bamboozled defender. Born in Birmingham (21 November, 1968) Jonathan began his career at Shrewsbury as an apprentice before signing professional terms in the summer of 1986. Boss Chic Bates immediately recognised potential in the 18-year-old and drafted him into the first team set up, and over the next two seasons chalked up 31 appearances, but could not hold down a regular place in the Shrews’ side. This was in no small part due to a revolving managerial door at Gay Meadow with Chic Bates, Ken Brown and then Ian McNeill all having spells in charge. 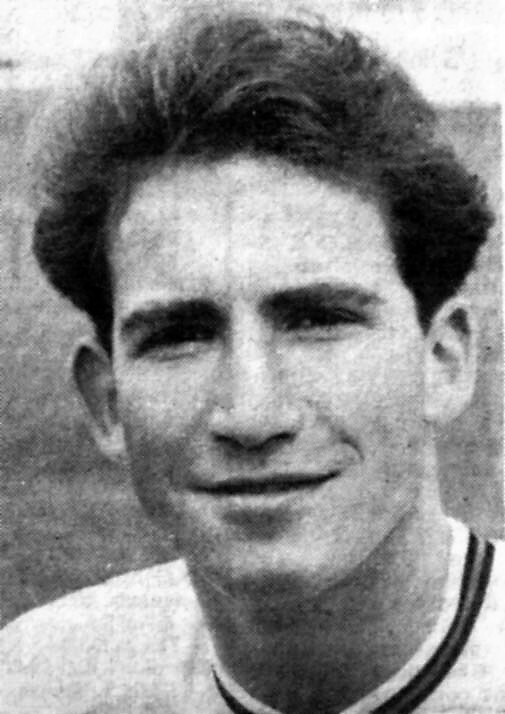 At the beginning of the 1988/89 season the Bulls boss Ian Bowyer was keen to bring Narbett into his squad but initially Town were reticent to release the playmaker permanently and so a loan spell at Edgar Street was agreed. Narbett made his Bulls debut against Carlisle United on 8 October 1988, in a 2-1 home win, following this up with another impressive performance in a 2-1 away victory at Stockport County when Gary Stevens scored twice. After a sensational 4-4 draw with Rochdale at Edgar Street and a Narbett goal in a 1-1 draw away at Hartlepool, Bowyer agreed a £27,500 transfer fee with Shrewsbury, smashing the Bulls then club record. His decision was an instant hit as Jon scored twice at Edgar Street in a 3-1 win over Halifax Town on 12 November 1988. Narbett only missed three games in the remainder of the season with Phil Stant benefitting from his prompting and probing scoring 29 times in a successful partnership with Paul McLoughlin up front. In the following season Hereford were to reach the FA Cup 4th Round and a tie at Edgar Street against Manchester United that attracted a crowd of 13,777 on 28 January 1990. Indeed, Narbett had played a significant part in the Bulls progress as Hereford knocked out Farnborough (1-0), Merthyr (3-2) and Walsall (2-1) to set up the clash with Alex Ferguson’s men. Narbett lined up against Paul Ince in centre-field and looked the more impressive on the day, almost scoring for Hereford in the first half. Although Hereford were to bow out 1-0 to a late Clayton Blackmore effort in the 84th minute the side gained momentum in cup football, and went on to win the Welsh FA Cup at Cardiff Arms Park on 13 May 1990, although Narbett was unable to take his deserved place in the Final due to injury. Despite securing the clubs first trophy for many years boss Ian Bowyer left the club after a dispute over Nottingham Forest’s capture of his son Gary who remained a free agent, and Colin Addison returned as the Hereford manager in July 1990. Jon continued to excel in the Bulls engine-room and he scored his first ever hat-trick in a 4-2 win over Carlisle United at Edgar Street on 15 September 1990. However, the paucity of goals from the rest of the squad saw Hereford ending an undistinguished season in 17th position in Division Four – something Bulls’ fans had come accustomed to. John Sillett replaced Addison as Bulls’ boss ahead of the 1991/92 campaign with Hereford, and Narbett, starting the campaign with renewed optimism. Hereford went top of the league after 5 wins and a draw in the opening seven matches. Jon scored another hat-trick in this spell. This time against Scarborough on 24 August 1991, amazingly past Jason Priestley, the very same goalkeeper he had scored three times against when defeating Carlisle just under 12 months previously. Another FA Cup run saw the Bulls reach the 4th Round and a trip to the City Ground to face Brian Clough’s Nottingham Forest. Jon had scored an important goal against Woking in a third-round replay, and despite being pegged back by a late equaliser, Hereford managed to scrape past the Cards thanks to a terrific performance by Steve Devine, with Brain scoring the winner at Edgar Street in the 101st minute. Another ill-timed injury meant Jon missed out on the Bulls ‘Big-Day’ with Stuart Pearce and Teddy Sheringham scoring for Forest twelve days later. Hereford appeared destined to “cash-in” on the influential playmaker and so after Sillett left to become a pundit on Central TV, Narbett was sold to Oxford United for £65,000 in July 1992. Many Bulls fans doubted they would see a player with such good touch and vision again as he left Edgar Street with an impressive first-team record of 181 matches and 36 goals. His last game for Hereford had not been a happy one, as the Bulls lost 2-1 to Northampton at Edgar Street with David Titterton and Peter Heritage both being sent off. Hereford had finished 17th in Division Four – again. Next came a spell in Sweden with Kalmar, before returning to the Football League with Chesterfield at Saltergate. However, disaster struck as he suffered a cruciate ligament injury in 1996 which ended his professional career. He endeavoured to regain fitness with Kidderminster Harriers, Evesham United and then Worcester City in non-league football, but a succession of operations and secondary injuries were too much to overcome. 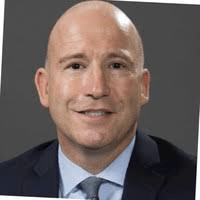 Narbett now lives in Chicago in the United States, working in the financial industry, and describes himself as a “financial planner, former soccer player, and life student”. He regularly keeps an eye on the progress of Hereford, and was delighted to see find footage of his time at Edgar Street uploaded to YouTube recently. Maybe he will return to Edgar Street at some point in the future. Many Bulls fans would love to meet him again.